Well I am starting a beautiful week with some beautiful products. Overallbeauty.com is your one stop trendy beauty site for all your beauty needs! Offering organic/natural skincare, bath & body products with haircare brands that are sure lavish your hair in luxury. Browse our handcrafted delights, one of a kind items and gifts to bring out the beauty in anyone. 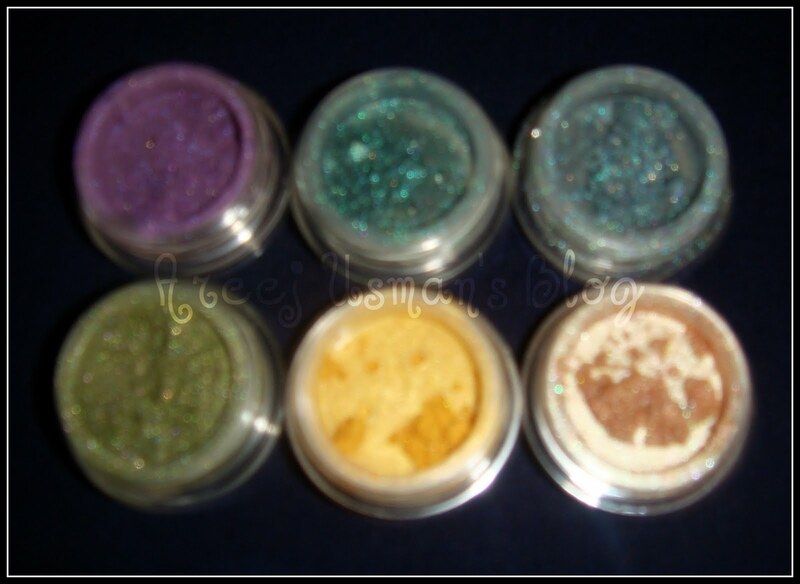 Overall Beauty company started out 2004 on the web selling Mood Nail Polish and Magic Lash eyelash enhancer & Black Magic Mascara and has since then expanded to offer our own line of Mineral makeup (Overall Beauty Minerals) and lots of natural and or organic skincare products. Only the best for you and yours, do your online beauty shopping with us today! All of our MINERALS have a higher percentage of pure mineral colorants and NO FILLERS, so a small amount on your eye lids provides the same color depth as a heavy application of traditional pressed powder eye make up. 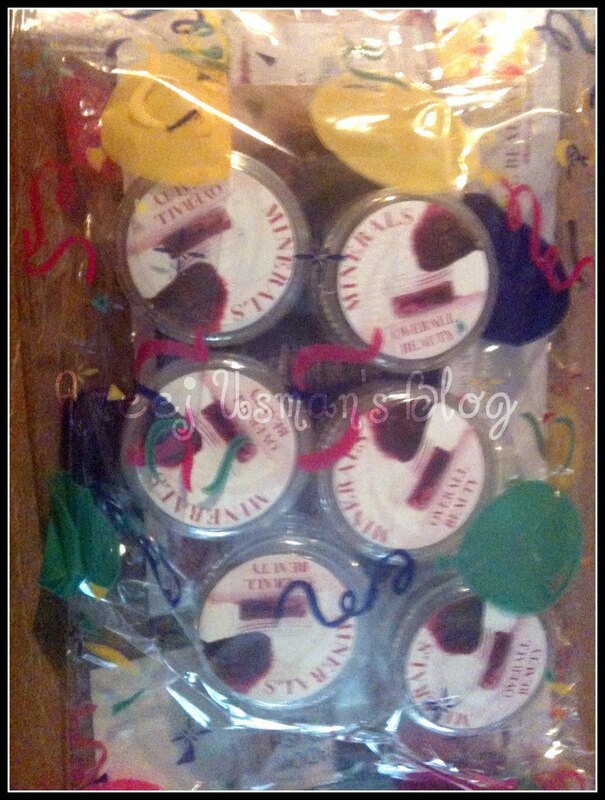 A 5G jar of Overall Beauty MINERALS will last about twice as long as the same amount of cake eyeshadow. 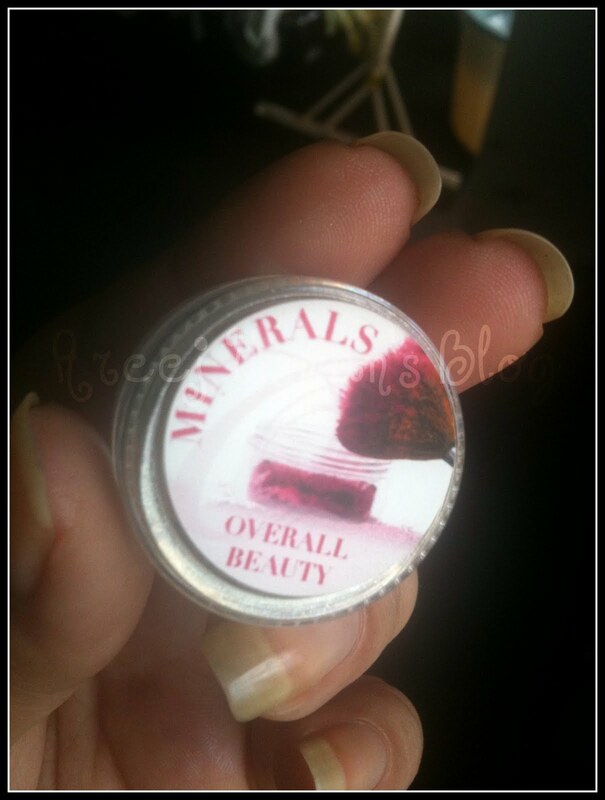 Overall Beauty Minerals is animal cruelty free. We do not test on animals, nor do we believe in testing on animals. 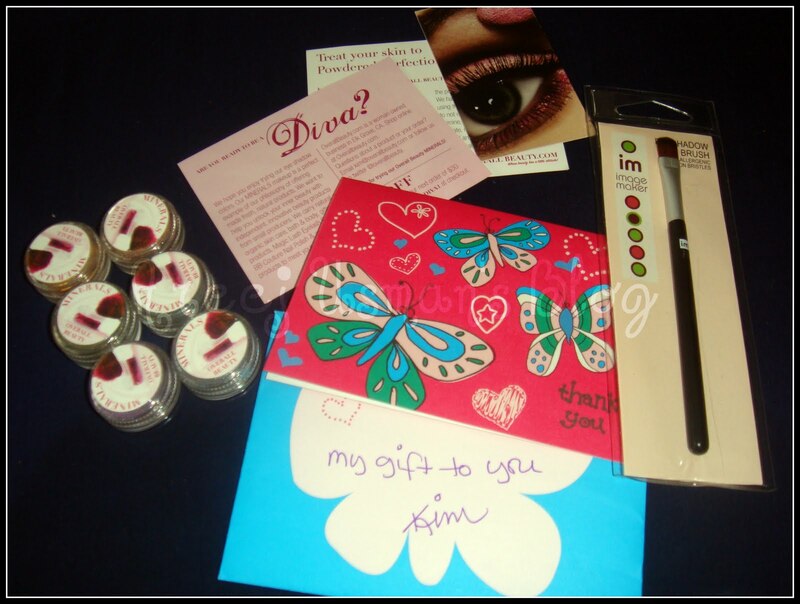 The package of products came up wrapped up together to be a bundle of joy with the handwritten card by the owner and CEO of Overall beauty Kim Snyder.She offered me to choose 5 eyeshadows of my choice but what A surprise when I received the parcel there were 6 of them and an additional eye shadow brush as well. 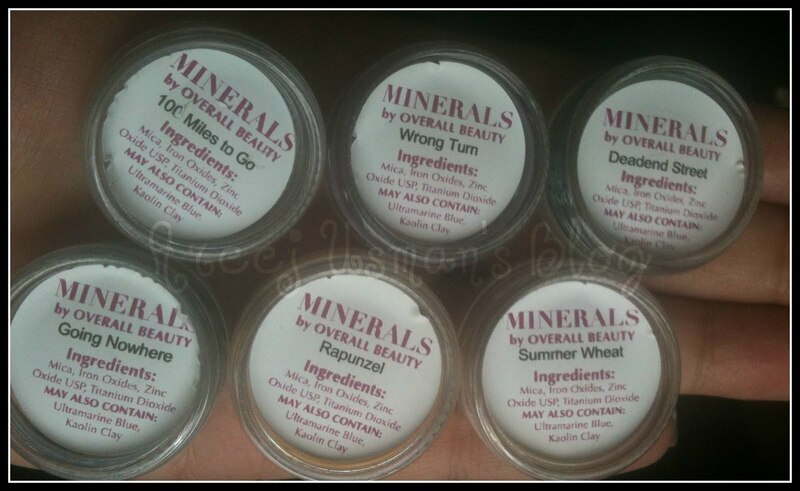 These jars are sifter jars & they help in saving a lot of eye shadow .The names of each eye shadow is mentioned at the back of these jars along with all the ingredients. 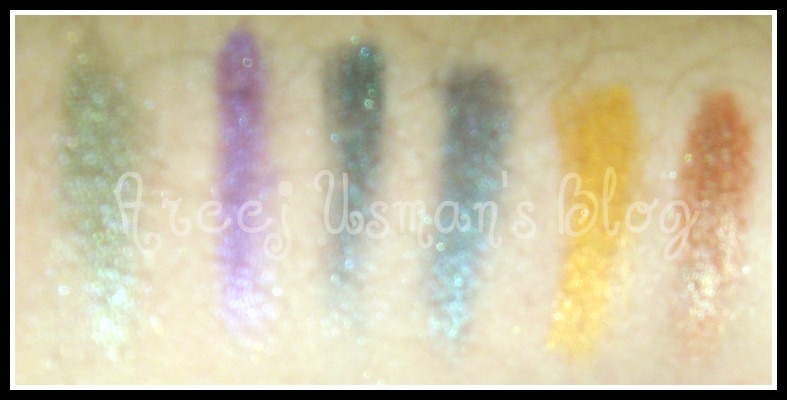 I am very satisfied with the quality of these eye shadows.As they are mineral eye shadows I have used an eye shadow base before swatching them but keep in mind they are single swatched.They are quite well pigmented & full of lovely sparkle. The shade Rapunzel and Summer Wheat seem to be the most pigmented in my collection here. ~Deadend street: A mixture of green blue shade. 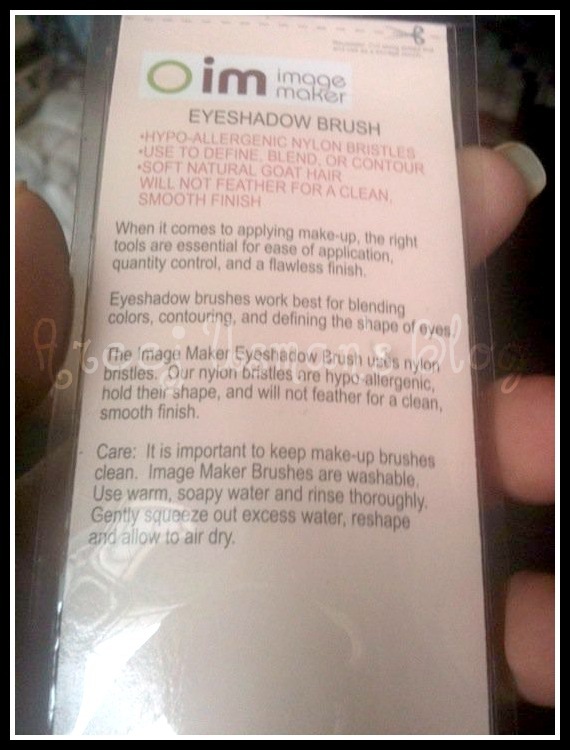 The eye shadow brush is a very good one as well.Its synthetic made.It is great to be used for precise shadoow application.Its does a great job for its price. 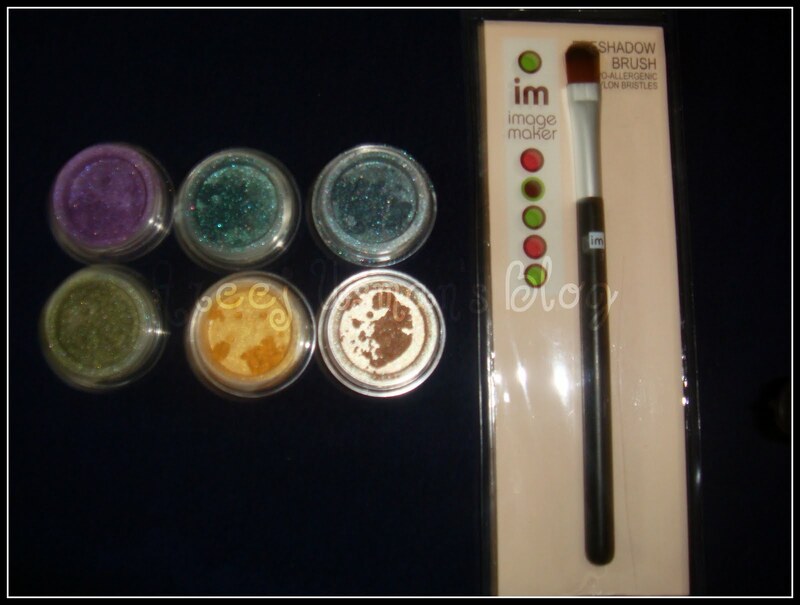 You can purchase these eye shadows & have a look at the vast collection of eye shadows here: .A 5 gm jar is for $ 7.99 and the brush is $4.99. 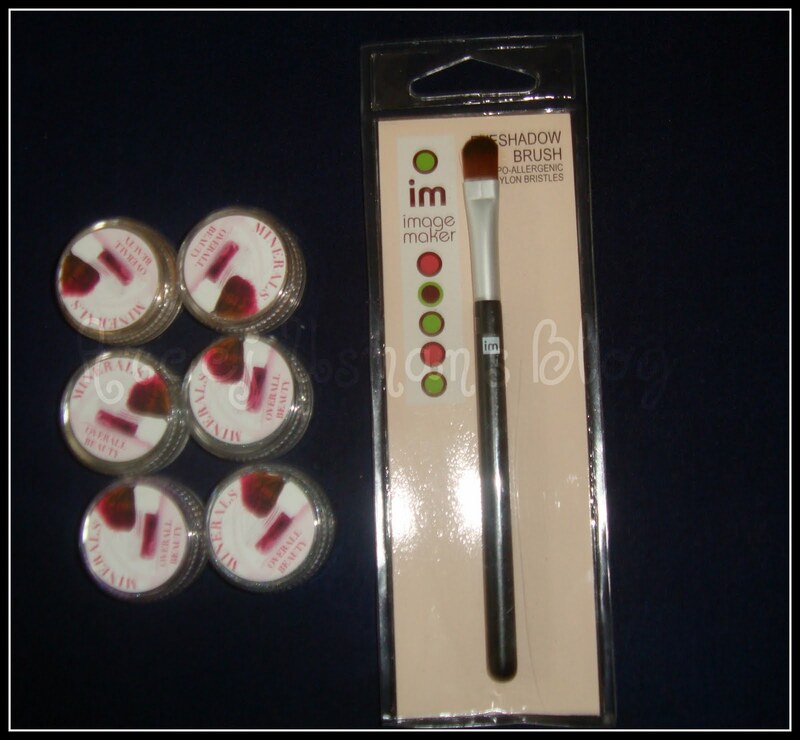 Head on to the overall beauty website and spoil urself with the lovely products at affordable rates. Any comments & questions are welcomed.